When customers call your business phone and you have to place them ON-HOLD…what do they hear? Leaving your customers waiting in silence on the telephone isn’t good for business. Music may be nice…however, music mixed with important, informational messages or commercials about your business helps keep your customers and callers engaged while they are waiting On-Hold. 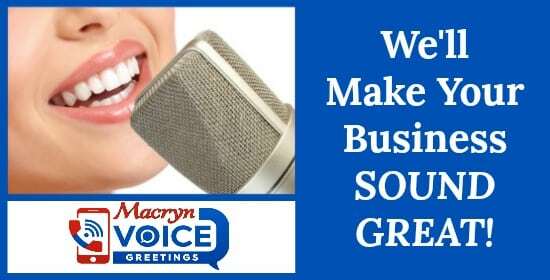 Macryn Voice Greetings specializes in helping small business owners and large companies sound professional with professionally recorded phone greetings and messages. 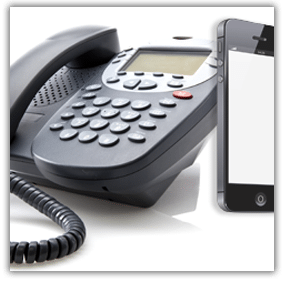 We’ll record your phone messages and commercials with music for your phone system in a way that enhances your company image and impresses callers. Our professional voice talent has provided recordings for all types of clients all over the world.